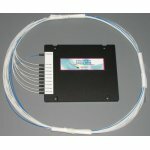 Two-wavelength WDM-multiplexer is used for separating and combining optical signals (1310 and 1550). In other words, it can perform two types of functions: add optical signals with each other, so two optical signals are transmitted over a single fiber; select an optical signal from the mixed optical signals transmitted over a single fiber. 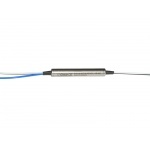 The optical WDM multiplexers and demultipleksers are presented in this section.